About Delta Truck Parking - Open 24 hours, 7 days a week. Delta Truck Parking was established in the summer of 2006. It sits on a 3.75-acre graveled lot, with 105 parking spots available, and it’s fully fenced, graveled, and monitored. It is located just 2 miles north of the Otay Mesa border crossing, 2 miles east of the CBX-Tijuana airport bridge, and 2 miles west of the Pilot Travel Center. We are located at 8468 Airway Road, Otay Mesa, CA 92154. 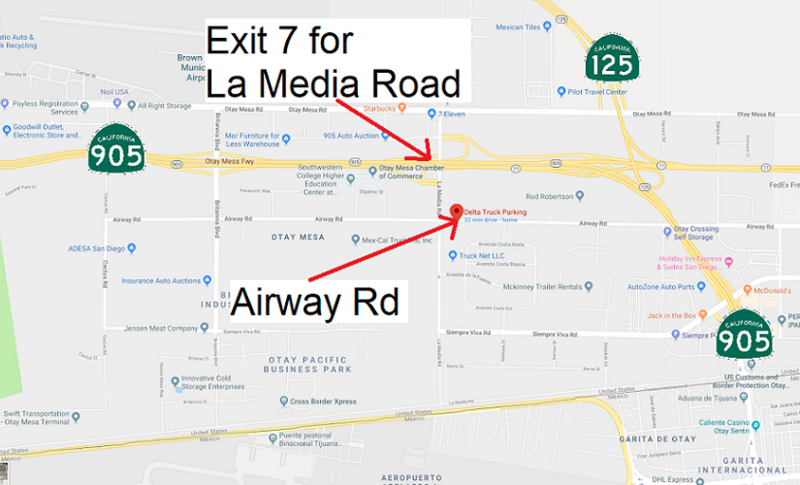 Take exit 7 for La Media Road and turn right at the traffic light. Drive for 700 feet on La Media Road and turn left at the flashing traffic light for Airway Road. 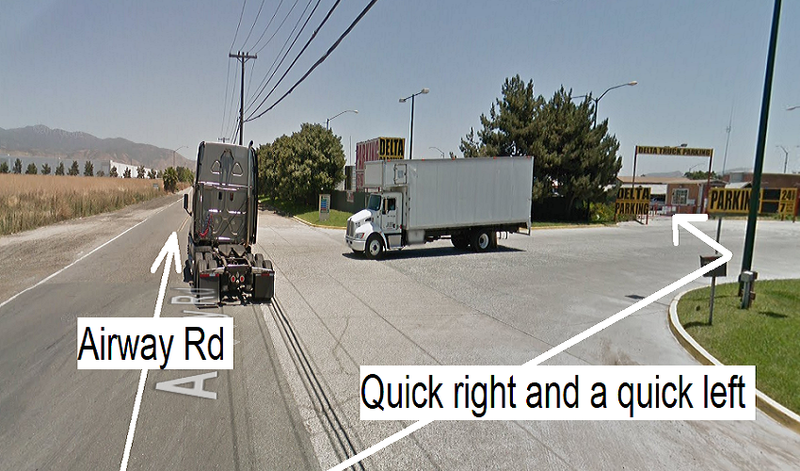 Drive for about 500 feet on Airway Road, make a quick right onto an unnamed service road, and make a very quick left.